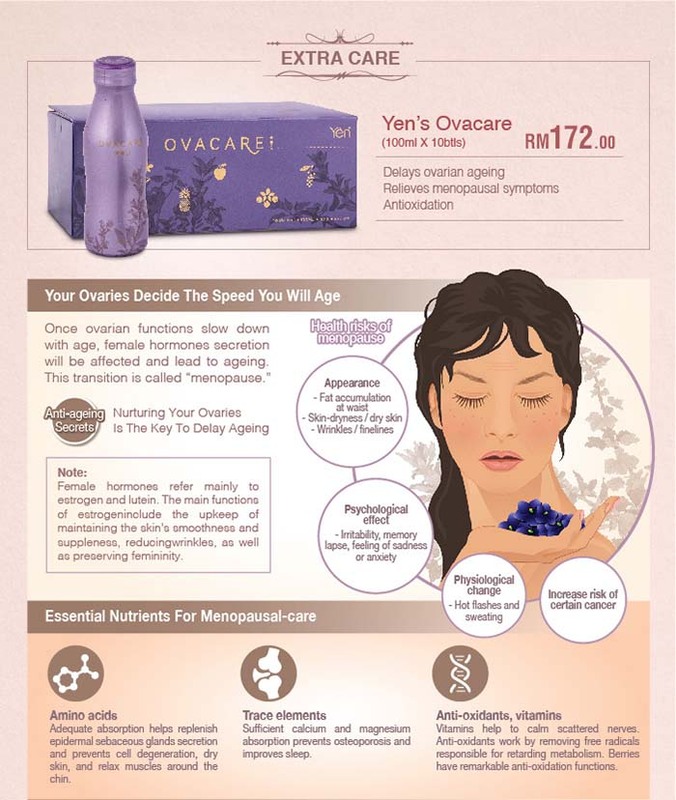 Yen Ovacare, is specially formulated for women's wellbeing by using natural ingredients. 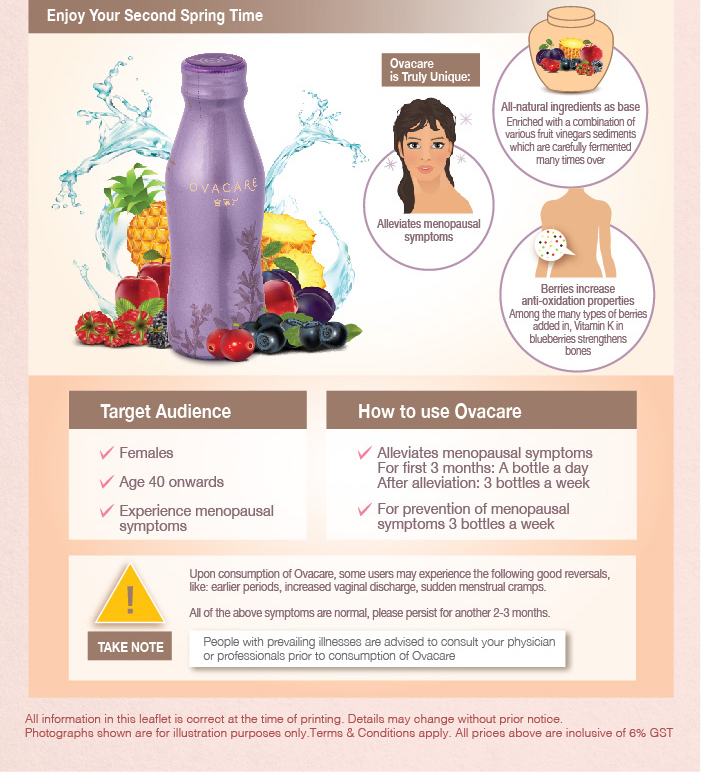 This unique essence is produced from multiple natural fermentation and contains rich amount of trace elements that is vital for your health especially in promoting and maintaining women's wellbeing which easing that symptoms of menopause. Enriched with premium fruits and five types of berries, a great source of powerful anti-oxidants and vitamins, it helps to slow down aging and provide nourishment for healthy skin, for a youthful and confident you. Brown Rice, Black Soybean, Apple, Plum, Pineapple, Wild Cherry Berry, Blueberry, Cranberry, Cassis Berry, Acerola and Isomalt Oligosaccharide. Consume one bottle a day after meal. Once opened, consume immediately.
. Avoid consumption during menstruation period.
. To prevent side effects, obstain from taking medication within 2 hours after consuming.
. This product is produced using natural ingredients. Sediments at the bottom of the bottle are normal occurrences. Shake well before use.
. Apperance of each product may differ slightly as there is no artificial colouring or preservative added.